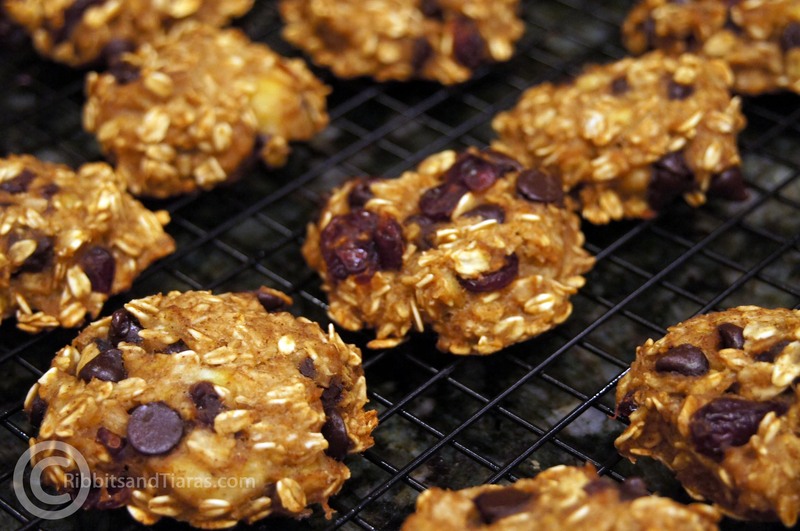 A few months ago I made banana oatmeal chocolate chip cookies. Since they had no flour and no eggs they were a hit at my monthly cooking club when we had an “eggless theme”. Since then I have seen quite a few renditions of the cookies on Pinterest. My sister-in-law brought a few of her own cookies to a baseball game this weekend and it inspired me to make these. 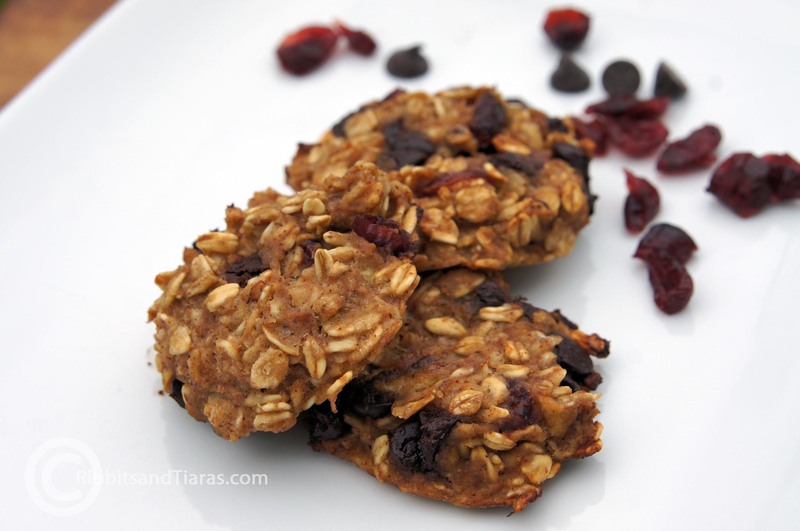 No added sugar (yes the chocolate chips & dried cranberries have added sugar), no flour and no egg! In a bowl mash bananas until creamy. Add apple sauce, vanilla extract and cinnamon and mix well. 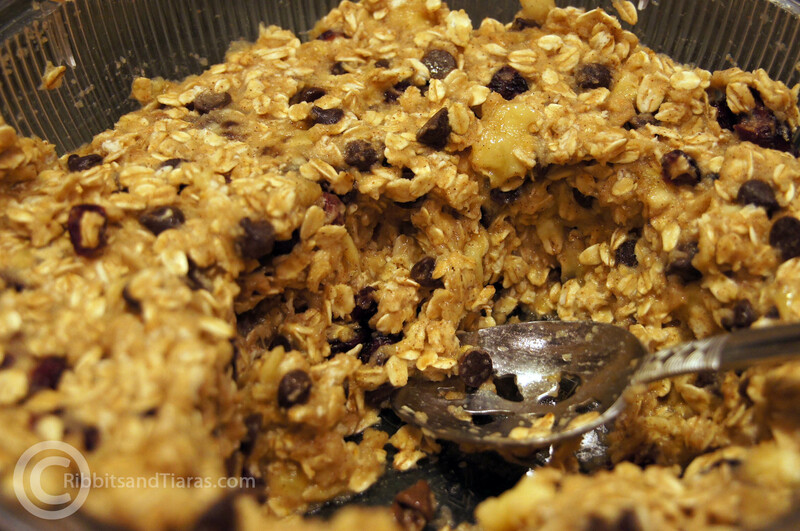 Add oatmeal and mix to insure that oatmeal is completely combined with the wet ingredients. Stir in walnuts, dried cranberries and chocolate chips. Let sit 10 minutes so that oatmeal absorbs some of the moisture. Spoon cookies onto cookies sheet with parchment paper and slightly flatten. Bake 25 to 30 minutes until golden brown. 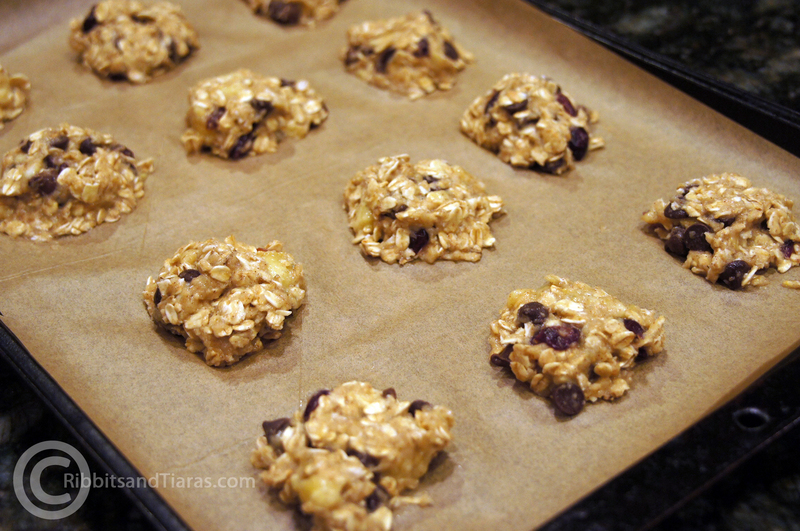 Let cookies cool 5 minutes before moving them to a cooling rack. Wow! I can’t believe these don’t have any eggs or flour in them. They look delicious! Thank you for sharing the recipe. I will be making these soon!